I just about squealed with delight when I saw this preview- Keira Knightley playing Anna Karenina in a forthcoming adaptation of that Leo Tolstoy authored classic. Not to mention the screenplay is written by Tom Stoppard. 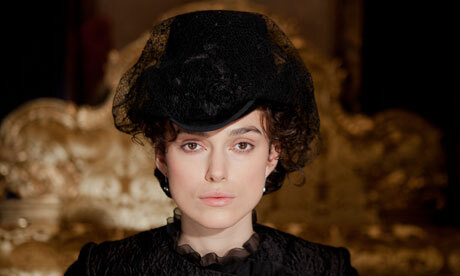 Directed by Joe Wright (Atonement & 2005 adaptation of Pride & Prejudice that also starred Keira Knightley.